Being a real paradise on earth, Sri Lanka is a perfect destination for your next island vacation. White-gold sandy beaches with crystal clear water, palm tree sheds, dense tropical jungles enriched with wildlife, great history and unique culture.. If you are still not convinced, take a look at this photo collection now and get ready to fall in love with Sri Lanka. A Train ride from Ella to Nuwara Eliya is one of the most beautiful train journeys in the world. Dense forests, green tea plantations, cascading waterfalls, dark tunnels, gigantic mountain ranges and picturesque valleys with the rhythmic sway of the train, open doors to an “out-of-this-world experience” you’ve never experienced before –which can describe with one word; Breath takingMagical. Swim over colourful corals with turtles! Alluring coral reefs saturated with colours and beautiful swamps of fish around Pigeon Island in Trincomalee Sri Lanka will make you feel like you enter into a different world with crystal clear warm water, only get cluttered by your own air bubbles rising to the surface. Pristine tropical nature in Sri Lanka with tall trees, twisted creepers and bushes covered with flowers can sooth and refresh anyone’s soul after a small walk through nature along a small trail. The sounds of the chirping birds and the rustling of the leaves, amplify the calmness entering your mind to a peaceful meditation. Releasing an adorable hatchling to the Indian Ocean and watching them slowly reach towards the waves, is one of the rarest experience one can have in their life. Kosgoda turtle hatchery in Sri Lanka is the place you should spend a day, if you want to enjoy this experience. Surf with the untamed waves of the Indian Ocean. As a country with few beach spots reputable for its perfect surfing waves, Sri Lanka can offer you a thrilling surfing experience for adventure freaks. It doesn’t matter you are a newbie or an expert, as Sri Lanka got you covered with beaches with different types of waves. Spend an evening with your loved one in a private yacht in the middle of the ocean full of romance.Or party with your friends under the breeze feeling the wind in your hair.Go fishing. Get some natural tanning and chill out. With the good winds, sunny weather and perfect atmosphere, Sri Lanka provides you sailing experiences throughout the year. trips toview of an effortlessly flowing waterfall in the background of a lush greenery and stunning landscape blurred with mist is a picture-perfect scenery you’ll never miss if you visit Nuwara Eliya in your trip to Sri Lanka. This is one of the waterfall-beauties in Sri Lanka- St.Clair waterfalls located in Tawalantenne. 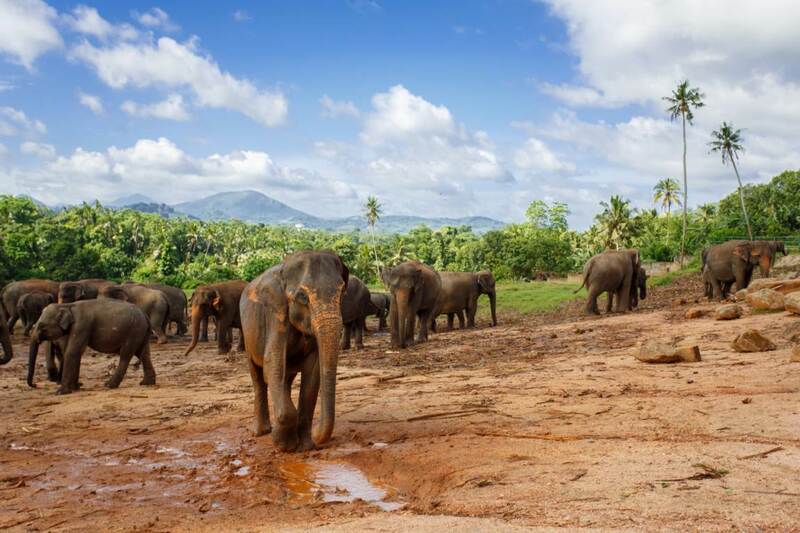 Elephant-watching in the wild, witnessing large elephant gatherings is one of the thrilling experiences to enjoy in Sri Lanka.With an abundance of Elephants, Sri Lanka offers you excitintrips tonational parks such as Udawalawe, Yala ,Bundala and more letting you see Elephants at close quarters. Offering a paranomic scenery with lush landscapes, Ella in Sri Lanka is the everyone’s favourite hike in the hill-country. Hike along the small trails enjoying the misty mountain tops, small mountain villages and the blankets of tea plantations that runs as far as your eyes can see, and reach the final destination full of splendour. The perfect happiness in life is to end your day sipping a beer, lost in the rhythmic percussion of the waves, watching the sky dyed with shades of oranges, reds and purples after a long day by the beach. In Sri Lanka every day every beach promises you a picturesque sunset.